Includes: Fourteen(14) laminated full-size 11″x17″ charts*. Also includes downloadable PDF files. Updated for 2019 and includes new Section 199A Chart. NOTE: Custom-Design option available as add-on during check-out process (PDF ONLY). Includes: Fourteen(14) 2019 Updated Robert Keebler Charts. PDF Only (no items printed/shipped). NOTE: Charts are 11″x17″ and may not print full-size on most standard printers. NOTE: Custom-Design option available as add-on during check-out process. If you’re looking for a simple or easy handout to use in front of clients and prospects to explain some of the most complex tax and retirement benefit planning strategies, then look no further. 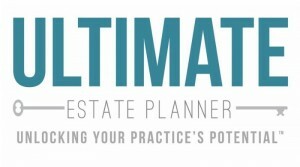 Nationally renowned CPA and tax planning expert, Robert S. Keebler, CPA/PFS, MST, AEP (Distinguished), CGMA, has put together several charts on some of the most complex estate, financial and tax planning strategies out there and they’re now available for you! All of these charts have been updated for 2019 and are 11″ x 17″ and two-sided (except for one). You can choose between the PDF copy only for just $249. Or, you can order the Laminated Charts, which includes the PDF copies, as well as one(1) full-color, full-size, laminated printed set of these charts shipped out to your office for just one payment of $499. WONDERING ABOUT ANY CHANGES OR UPDATES? Should there be any updates or changes to any of these charts throughout year will be provided to you as a PDF only at no additional cost. You will also be eligible for discounts to any additional charts that Keebler & Associates, LLP may make available in 2019. Updates to these charts through 2019 will be made at the discretion of Robert Keebler and the office of Keebler & Associates, LLP. This product includes all 14 of Robert Keebler’s Charts, which are great resources for you, your clients, and your entire office! With this bundle, you can choose either to receive the PDF files, or you can also purchase the full-color laminated copy of each 11″ x 17″ chart (which also includes a PDF download of each chart). We have several firms who wish to brand these charts to their own companies so that they may be able to distribute them to clients and other professional referral sources. We are pleased to make this available now* with our 2019 Robert Keebler Custom-Designed PDF Chart Bundle option. This package includes a 12-month license to utilize custom-designed PDF copy of all 14 charts, which someone from our office will personally work with you to design (which may include your firm’s name, logo, and contact information). The laminated charts are GREAT, and the convenience of the pdf is really appreciated so I can use them selectively with clients. 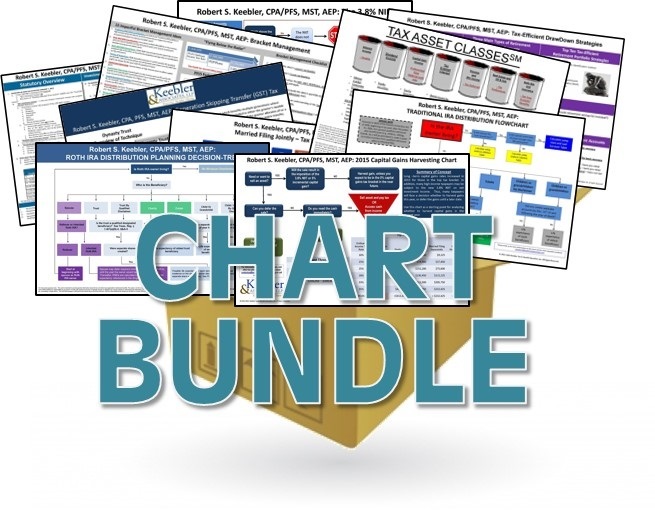 Whether you’re an attorney, CPA, financial advisor, or life insurance agent, I consider the Robert Keebler Chart Bundle Package a ‘must-have’ for your tool kit. Bob Keebler has a unique talent for developing tools and practice aids that have allowed me to comprehend the most complex tax, financial and estate planning concepts, and articulate them to both clients and colleagues alike. For years, I have been on a quest for products such as these, and haven’t been able to find them anywhere else.